Another weekend crammed full of style, fashion and beauty The Liberty’s Fashion Show Weekend has come to a close, but worry not. To celebrate Charnelle winning your vote for the best summer look in our recent Blogger Challenge, we’re delving deeper into the outfits each blogger chose so you can rock their trends. Well, with more than 100 stores in The Liberty, it’s never been easier to bag your ideal summer wardrobe under one roof. 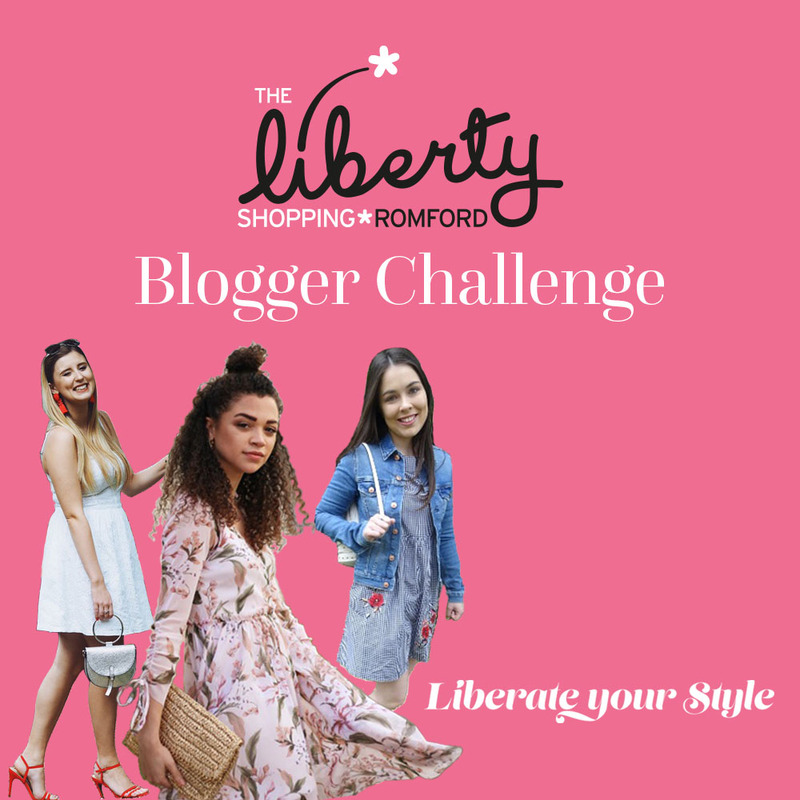 Three Essex-based bloggers; Charnelle, Georgia Ruby and Kristy took part in our Blogger challenge and were all given £100 to spend in The Liberty on creating their ultimate summer look, here’s a round up of the three unique looks. Winner of our Blogger Challenge, Charnelle, made a statement in a gorgeous Floral Midi Dress from Topshop (£49). Delicately sophisticated and light, this outfit is ideal for any occasion this summer including weddings, BBQs and family parties and easily transitions from day to night. Now, it’s no secret that here at The Liberty we love floral patterns and have been scouring our stores to find lots of different ways for you to wear this trend and have found something everyone will love. If full-on pattern isn’t for you Dorothy Perkins has the perfect solution. This Black Floral Embroidered Bardot Dress (£20) is a neutral tone that everyone looks good in, no matter your size or colouring, meaning that this dress is flattering as well as fun. For the more fearless amongst you, this Red Floral Cape Jumpsuit (£45) from Miss Selfridge has your name all over it. Easy to wear but impactful, this outfit will make you stand out in any crowd, so work it, wear it and love it this summer. Georgia wowed crowds with her cute Gingham Dress (£29.99) from New Look, finished with a Denim Jacket (£29.99) from H&M, – she rocked two key looks for Spring/Summer 17 effortlessly. The ideal outfit for a first date or brunch with friends, this is the perfect ‘throw on’ outfit that will keep you looking stylish all summer long. Flirty, feminine and timeless, gingham has made a huge comeback this season and is everywhere – from the catwalk to interiors – you cannot miss it. We love this Gingham Bardot Woven Blouse (£6.99) from Select and will be wearing it everywhere this season. Gingham doesn’t have to just be be part of your clothing collection thanks to these Gingham Tankle Tie Block Heel Sandals (£20) from River Island – there’s so many ways to work gingham into your wardrobe. Selecting a summer classic from Superdry, the all White Dress (£44.99) chosen by Kristy looked simply flawless on our catwalk and we just fell in love with her striking outfit. As we all know, white is the perfect colour for summer and this one-piece is a timeless classic we’ll definitely be taking with us on our holiday this year. So when your hard earned tan is on point, is there a better way to show it off than an all-white look? We don’t think so and have been trawling our stores to find more ways to wear this on trend colour. For the accessory addicts out there adding a pop of classic 60’s chic to an outfit couldn’t be easier and these Seafolly White Rounded Cat Eye Sunglasses (£60.00) from Debenhams really turn up the heat on any summer look. For us, the ultimate all-white look has to be the original White Top (£6.50) and White Skinny Jean (£19.50), both from Marks and Spencers. Stunningly simple and elegant, this look will last as long as your tan does. A must for any summer, denim shorts are a classic for a reason, but this year Topshop have inspired us to update our look with their MOTO High Waisted White Mom Shorts (£30.00). Although a daring colour – especially if you’re known as the ‘clumsy one’ – we’re excited to branch out from the typical blue denim shorts and will be incorporating this into our festival looks this year (weather depending!). So, what look will you be working this summer? Let us know and #LiberateYourStyle on our Facebook, Twitter or Instagram pages.